AXA's commitment to protecting and transmitting cultural heritage is a natural extension of our business as an insurer, which involves not only protecting the individuals over the long term, but also developing their accumulated wealth. Our cultural and heritage philanthropy actions are closely linked to our corporate responsibility. 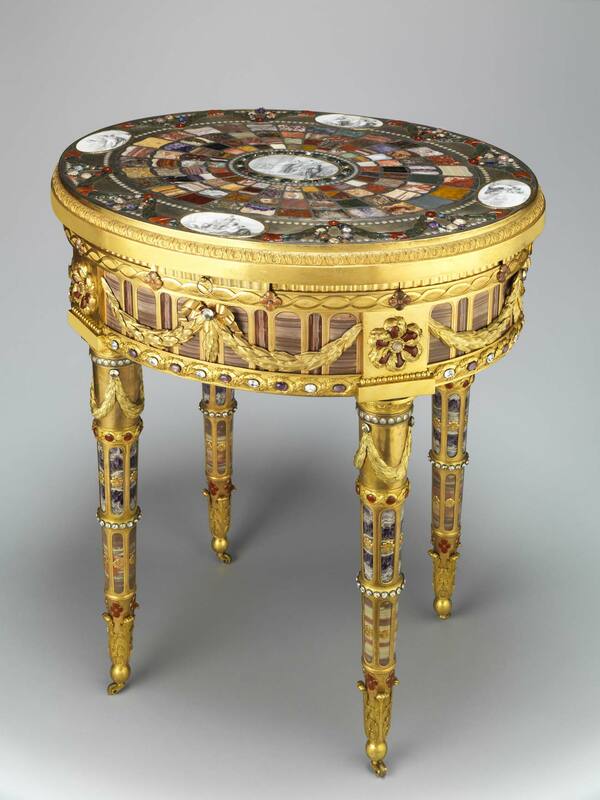 The Table of Teschen, a treasure of European history, is joining the Musée du Louvre’s national collections thanks to AXA’s contribution. This “jewel-table” is a work of goldsmithing like no other in the world and an extraordinary piece of history. AXA is helping to acquire the Register of accounts of the Château d’Amboise. 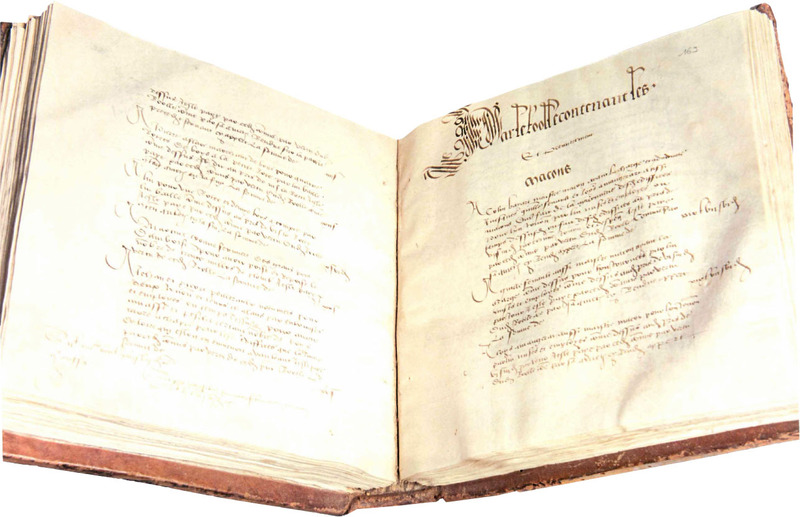 Designated a “national treasure” by Fleur Pellerin, French Minister of Culture and Communications, in June 2015, this historical manuscript will be purchased and restored for the National Archives of France. 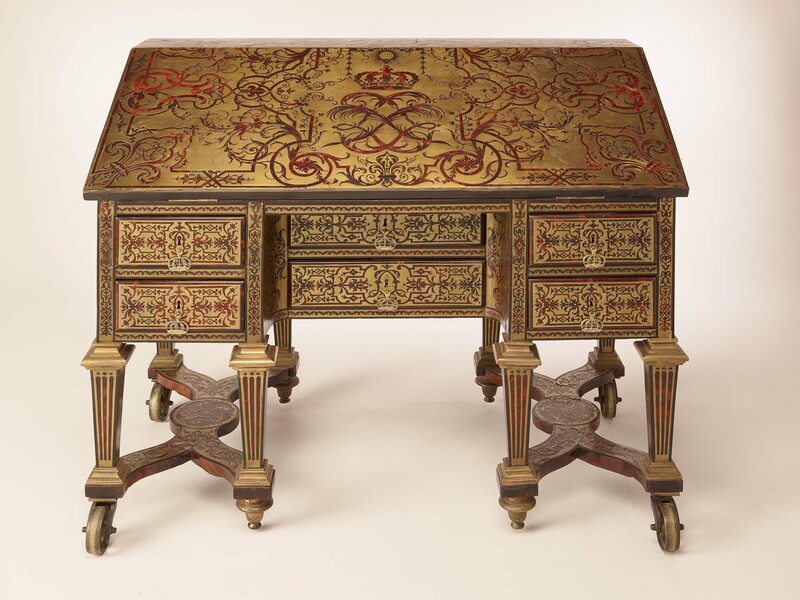 After an absence of 264 years, the desk of King Louis XIV is coming home to Versailles. This magnificent piece of cabinetmaking – deemed old-fashioned and sold in 1751 – is returning to the Château de Versailles thanks to the patronage of AXA and the Société des Amis de Versailles. These two pieces of art were given, in 1805, as a diplomatic present, by the queen Louise of Prussia to the Empress Joséphine. 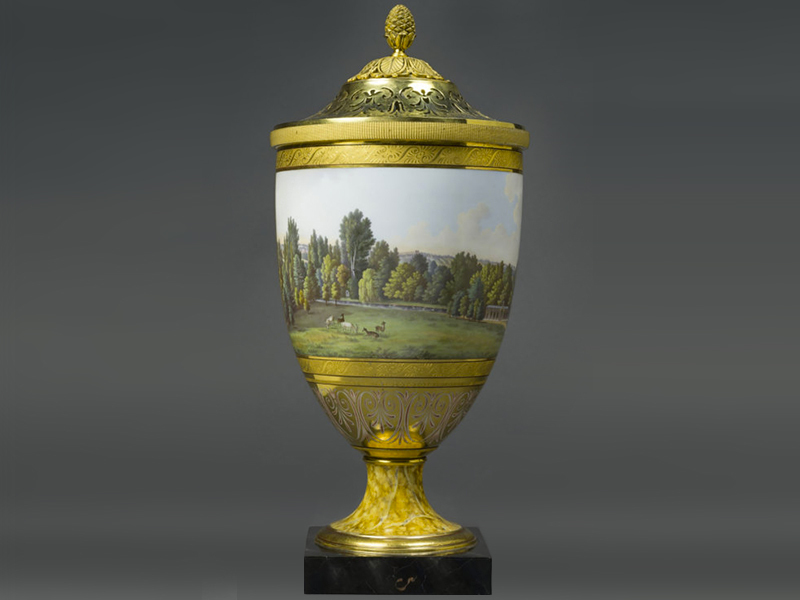 These pots-pourris were a technical achievement and a major piece of art for the Berlin Royal Manufacture which was challenging its own artistic reputation and was committed to be French Sèvre Manufacture's rival. 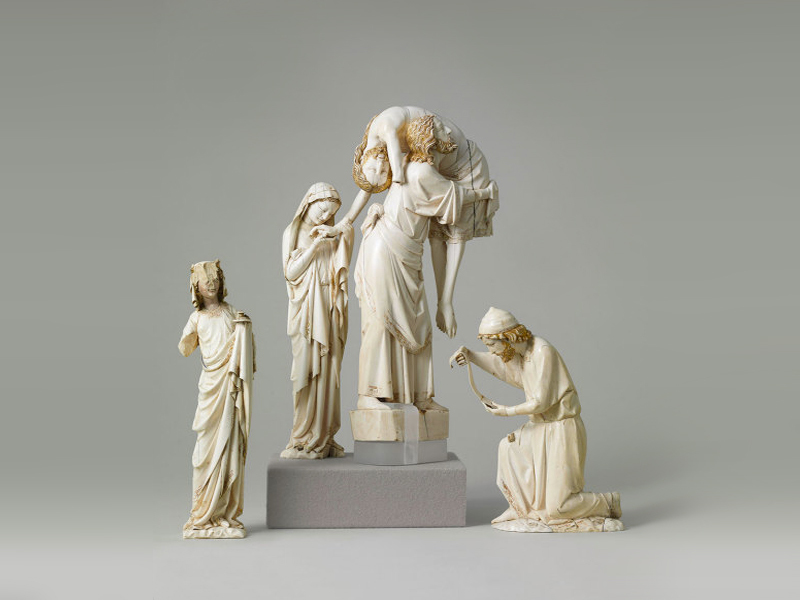 AXA Art, AXA Group's subsidiary, contributed to the acquisition of two ivory statuettes of the Descent from the Cross by the musée du Louvre. This contribution pursues AXA Group's commitment to cultural philanthropy and safeguarding cultural heritage. The Descent from the Cross group kept by the Louvre is a significant work of French gothic art, remarkable for both the quality and elegance of its style as well as its rare emotional hold. 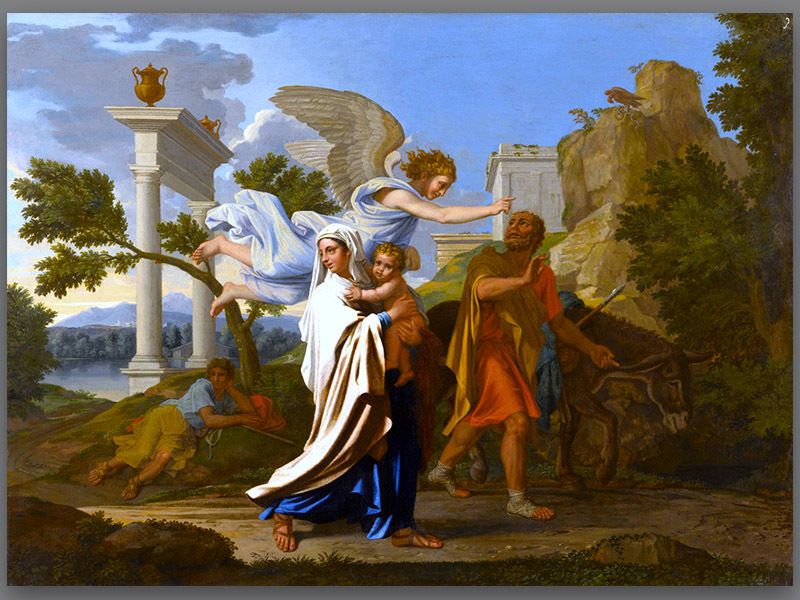 Two statuettes were previously missing from this group: Saint Jean and the allegory of the Synagogue. They were believed to be lost forever, likely destroyed over time. Fortunately they have been identified by a private collector in Paris and offered for purchase to the Louvre. Thus they complete this extraordinary work of art almost one hundred and twenty years after the acquisition of the first statuettes from Mannheim in 1896. Jean Malouel was appointed court painter to the Duke of Burgundy, Philip the Bold, in 1397; the Duke's coat of arms can be found on the back of Malouel's Piéta Tondo, in the Louvre. The iconography, physiognomy of the figures, fluidity of the lines, and sensual complexions, all point to the hand of Malouel, one of the major representatives of this elegant style, which became fashionable in the French courts at the turn of the 15th century. The iconography of the two works is different. In the vertical Piéta, the body of Christ, gently supported in the foreground by two angles, is unusually borne by Saint John the Evangelist, whilst the Virgin Mary makes a gesture of pain with her right hand, exactly mimicking that of Saint John in the Piéta Tondo in the Louvre. This vertical Pietà is a unique and exceptional discovery. Very few French paintings have survived from this period, around 350, whilst there are still thousands in Holland, Germany, Spain, or Italy. Malouel's art was largely inspired by the naturalism of the North, the decorative and calligraphic traditions of Paris, and Italian techniques for figures and backgrounds. 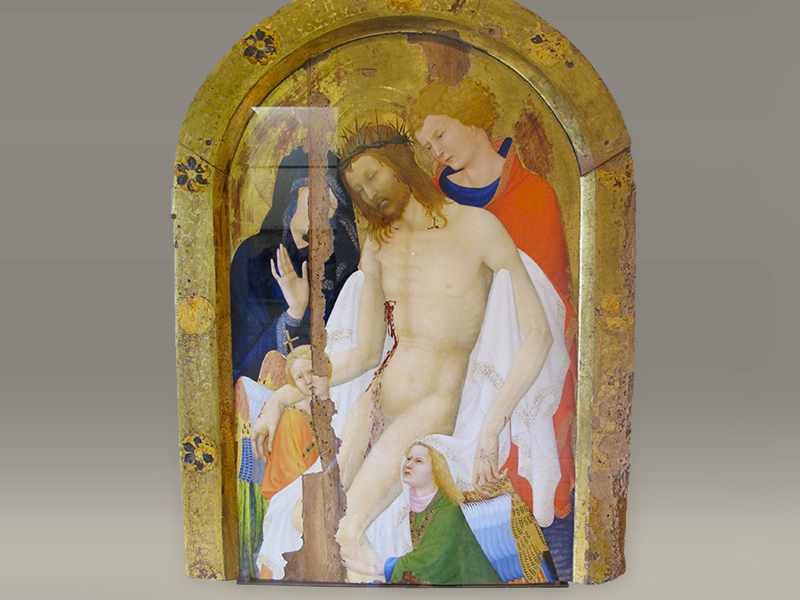 In return, the subtle balance between elegance and decorative "preciousness", naturalism, and delicate pathos, of which this Pietà is an admirable illustration, made a far-reaching impression on the art world between 1400 and 1420, influencing, among others, the painters and illuminators in Lombardi, Italy. A rare and moving example of the Caravaggio school of painting, this masterpiece has an illustrious history and has been long awaited by those intrigued by the Le Nain brothers, whose signed works bear only their surname. 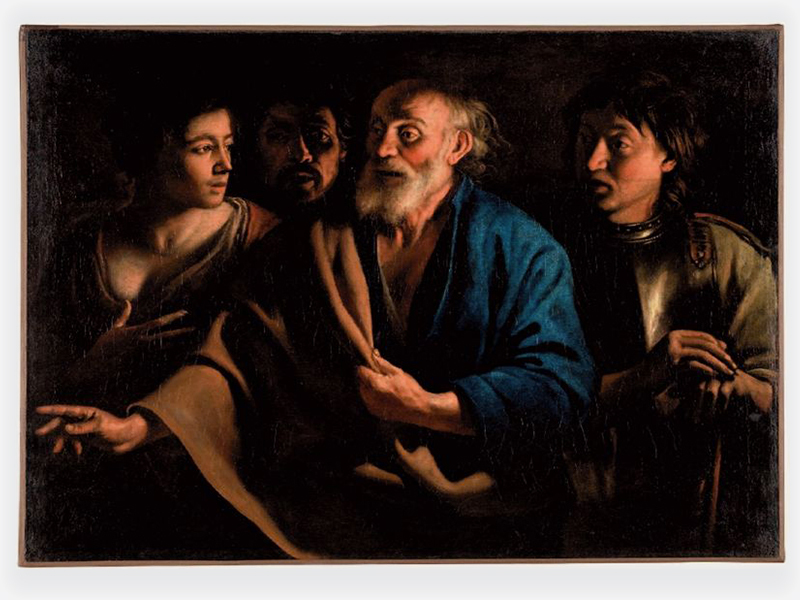 From the outset, the painting stirs up emotion: it depicts the moment of a shocking revelation for the apostle Peter. Distraught, he strives to escape the curious eyes of the servant and soldiers who recognize him as one of Christ's companions. Shortly before being arrested, Jesus had warned the eldest of his disciples that he would deny him three times before dawn: despite his protestations of loyalty, Peter had just responded three times that he did not know him. When a rooster crows, he realizes his cowardice and weeps. In a fascinating manner, a man in the background of the composition faces outward, seemingly asking the viewer to bear witness. The painting appeared at an auction in Nancy on March 19, 2000, under the title "17th century Lorraine School." 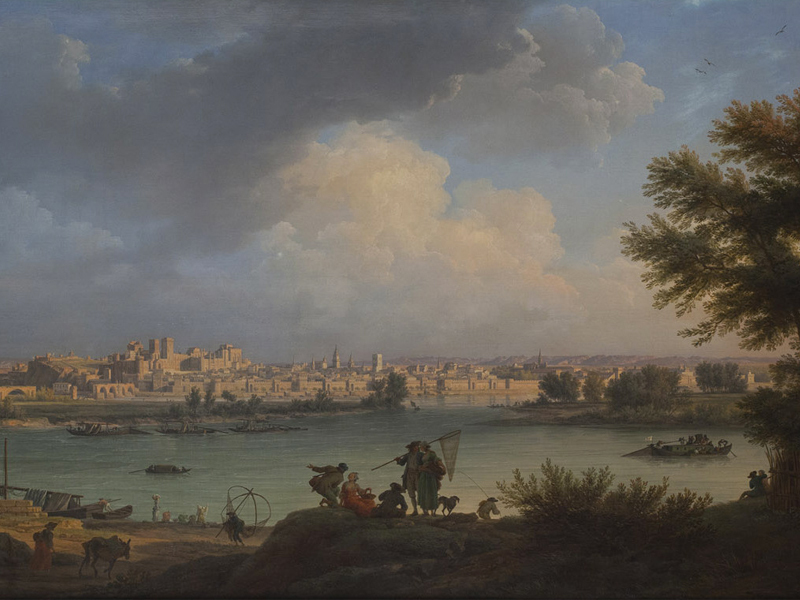 It was mentioned for the first time on March 4, 1656, when the Royal Academy of Painting and Sculpture sent a delegation to its patron, Cardinal Mazarin, in hopes of obtaining housing in the Louvre galleries. Aware that it was dealing with a seasoned collector, the Academy offered him two paintings: a "painting of fruit by Mr. Lemoyne and the Saint Peter by the late Mr. Le Nain." This detail is important because two of the three Le Nain brothers, Antoine and Louis, died suddenly in May 1648: if one chooses to rely on this letter, the "Saint Peter by the late Mr. Le Nain" had to have been painted by either Antoine or Louis. The third and youngest brother, Mathieu, who died in 1677, could not have been the artist. However, the issue may be far more complex. This national treasure, with no known equivalent, is remarkable for its size, covering some 28 square meters, its state of conservation, the quality of its design and the variety of its colors. The model is Italian, probably supplied by the architect Sebastiano Serlio, and the production French, by a studio from the Champagne region. 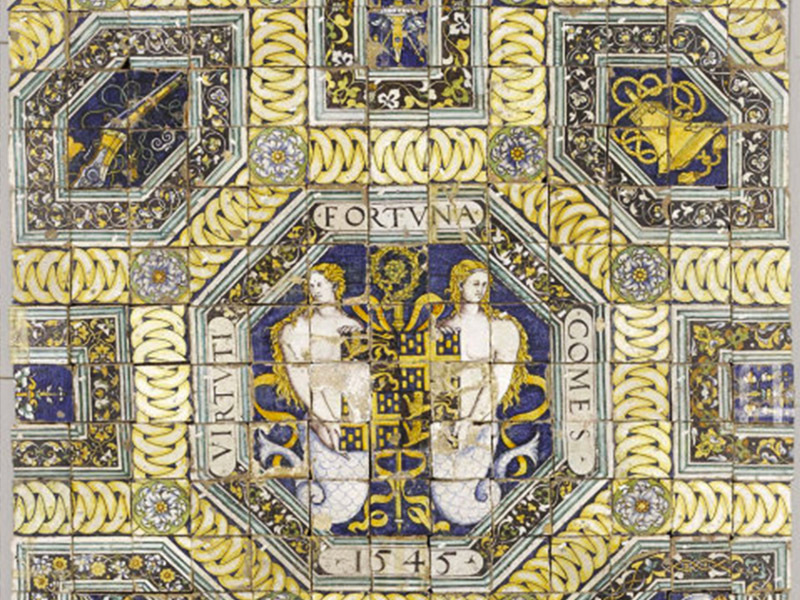 Created in 1545, this highly rare piece represents an exceptional testimony to the history of ceramics and the spread of earthenware in France, emblematic of the artistic ties between France and Italy in the middle of the 16th century. With the acquisition of this remarkable piece, the AXA Group is making it possible to further strengthen a series of works that are particularly representative of European ceramics of the time, exhibited in the National Renaissance Museum at Château d'Ecouen. As the only French establishment dedicated exclusively to the Renaissance, Château d'Ecouen is able, thanks to its outstanding range of collections, to offer a complete vision of European artistic profusion between the 15th and 17th centuries. The acquisition of this painting will represent a significant addition to France's public collections. For the first time, two museum institutions - the Musée des Beaux Arts de Lyon and the Musée du Louvre - joined forces to raise the funds needed to buy this privately-owned painting and safeguard a masterpiece for national artistic heritage. This portrait is one of the greatest achievements of the 19th century. The painting's bold composition, the refined use of color, the subtle psychological insight, and the noble posture of the young prince astounded and immediately sparked admiration. 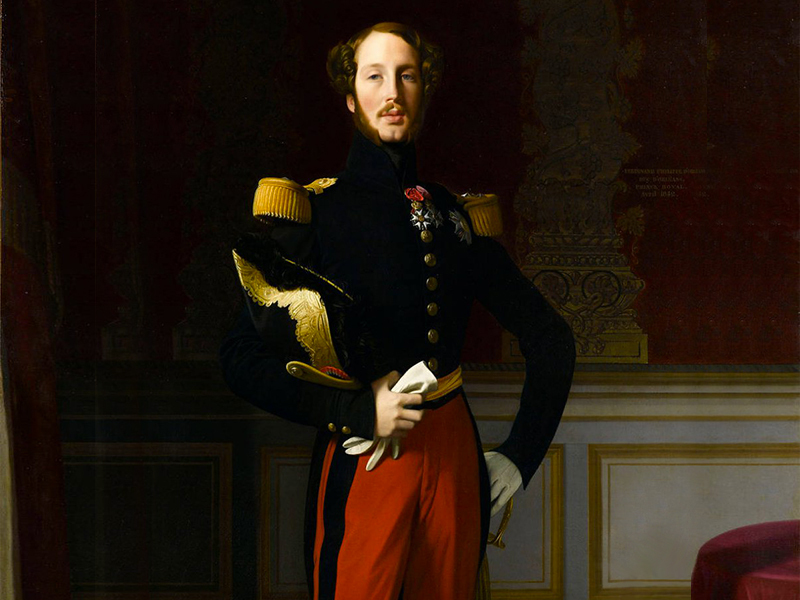 Following the accidental death of the Duc d'Orleans in July 1842, three months after the portrait was completed; the work took on an iconic, almost sacred, status. This work is an admirable addition to the few male portraits painted by Ingres which are housed by the Louvre. In March 2005, AXA offered to Le Louvre museum a magnificent Vestal from Jean-Antoine Houdon. This dated and signed, 1:1 scale marble statue, sculpted in 1787, depicts a hunter priestess guarding the flame dedicated to the goddess Vesta. This outstanding exercise in virtuosity is a modern take on an antique original. 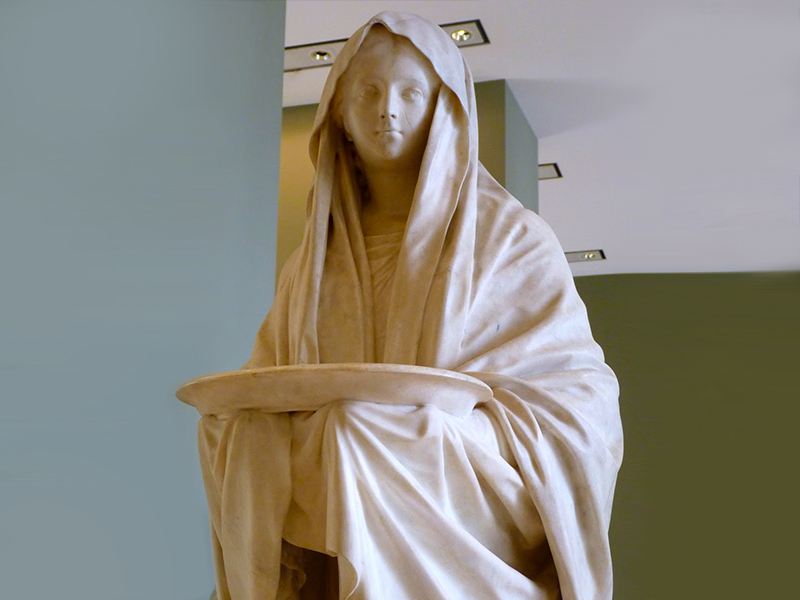 The Vestal finds its place admirably in the Louvre museum's Sculpture Department collection. The wooden statue is considered to be a masterpiece of African art. The work's size (almost two meters high), beauty and age (tenth or eleventh century) make it a truly remarkable piece. 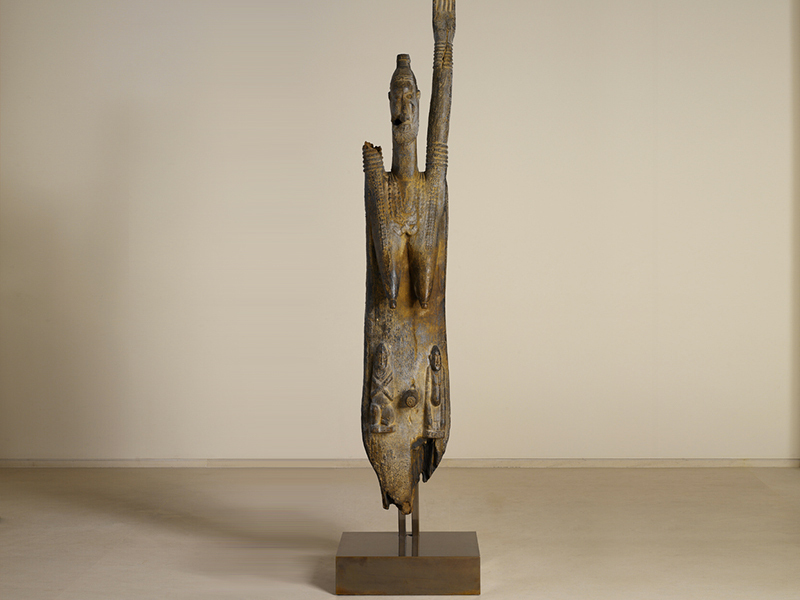 This sculpture is exhibited at the Musée du Quai Branly in Paris, which exposes works representing the art and civilization of Africa, Asia, Oceania and the Americas. 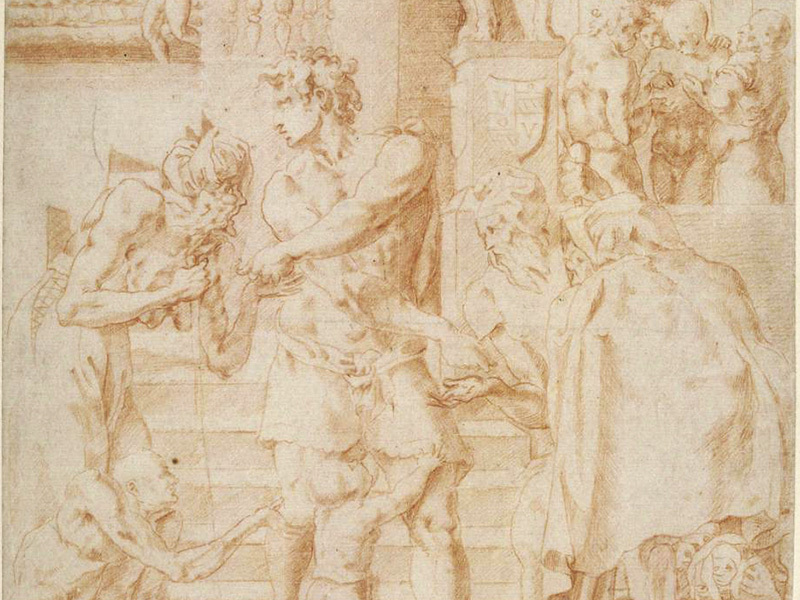 Two sanguine heightened sketches, Saint Roch distributing his goods to the poor and The Visitation, both by Rosso Fiorentino (Florence, 1494 - Fontainebleau, 1540) were added to the Louvre's permanent collection in October of 2003. These are the first sketches of religious inspiration from the Fontainebleau School to enter the Louvre.